Westminster John Knox Press, 9780664262358, 200pp. Everyone knows that stewardship is more than money and finances. Nevertheless, seldom do we give time to explore the profound concept of stewardship in its many dimensions, including stewardship of time, work, body, mind, spirit, community, technology, and more. Beyond the Offering Plate does just that. 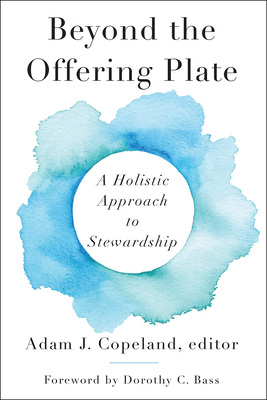 Written by ten engaging pastors, seminary professors, and church leaders, this unique resource offers a diverse and holistic approach to stewardship. In ten accessible chapters, readers will learn how they can faithfully and practically discuss and engage with stewardship on a regular basis. Ideal for church leaders, seminary students, and pastors, this book includes questions for reflection and applications for life together at the end of each chapter. Copeland adds a special section with biblical references and preaching themes at the end of the book.